Authorities say Mark Hurd, 56, of Dorchester, assaulted a 13-year-old girl who was selling cookies at the Ashmont MBTA Station on Nov. 18. 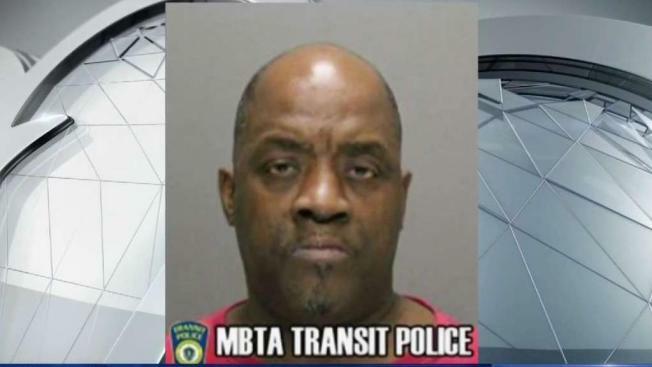 A Massachusetts man is facing charges after MBTA Transit Police say he assaulted a minor at a T stop last week. Authorities say Mark Hurd, 56, of Dorchester, assaulted a 13-year-old girl who was selling cookies at the Ashmont MBTA Station around 7 p.m. on Nov. 18. The girl was selling cookies to raise money for the Humane Society. She had an adult supervisor a short distance away moving a table. Police say it was during this time that Hurd approached the girl and began asking her questions about the cookies. Authorities say he allegedly indecently assaulted the minor moments later. Hurd was arrested on Nov. 28 following an investigation. The exact charges he is facing are unclear. Thursday, a judge set Hurd's bail at $500 and ordered him to stay away from the victim. While Hurd's arrest record is minimal, he does have a history of mental health issues, including a suicide attempt back in 1997 in which he told officers he would hang himself and asked for their handgun to shoot himself.